Dublin is a city that seems romantic for many; Irish warmth, literary history and a rich culture. Aside from the Guinness factory and drinking in a local bar, there is an abundance of things to do if spending a couple of days in the city. For breakfast, Meet Me In The Morning is just above the river in a tiny offbeat cafe. Whilst simple interior, it has some of the best coffee and something slightly different on the menu with a lot of greenery to contend with alongside a small section of sweet treats to go. Otherwise Two Pups, just south of the city is similar in its white decor and offbeat menu options with an avocado on toast adding peanut butter to the mix. The busy morning rush sees locals flock for some great takeaway coffee. 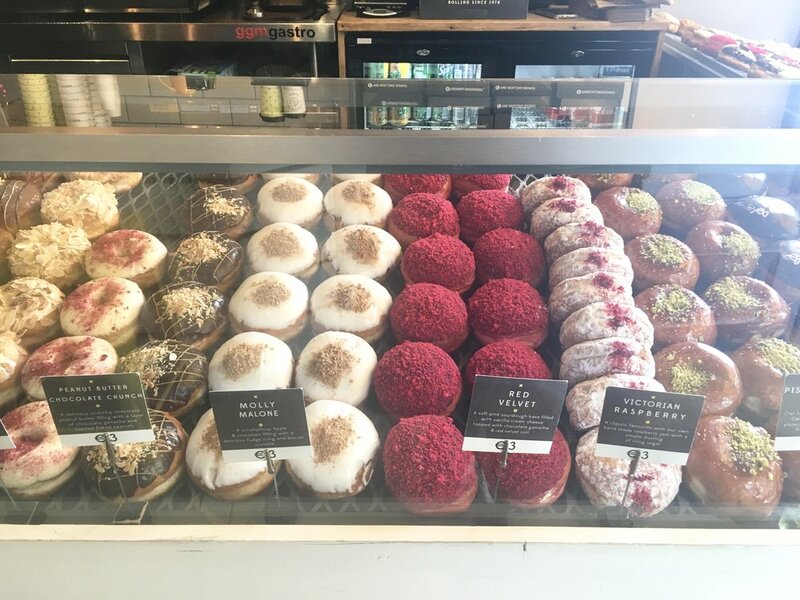 Snacks in the city see two quirky doughnut stores; Aungier Danger and The Rolling Doughnut. Whilst the former was bordering on top sweet, the latter has more choices and less sickly endings. Coffee is a big thing in the city; for the best on the go, Network and Clement & Pekoe take time but care into their filter coffee, in beautiful takeaway art cups. Dinner obviously is easily found with burritos and pizzas aplenty. New hotspot Mad Egg offers fried chicken in all forms, but a classic Irish stew is best found at Brazen Head, the oldest pub in Ireland with estimated dates of 1189AD. Vintage in Dublin is a huge scene with all styles and prices. Om Diva, Atelier 27, Nine Crows and Dublin Vintage Warehouse have a mix of 90’s hip-hop music blaring vs 50’s shirt dresses and bold prints. Yet there a number of beautiful shops offering one-off pieces without being expensive. Folkster is home to stunning interior reminiscent of Anthropologie albeit cheaper with a rainbow spectrum of ball gowns and dresses in the back. Article is a similar homeware store yet mainly stocks brands that can be found elsewhere. 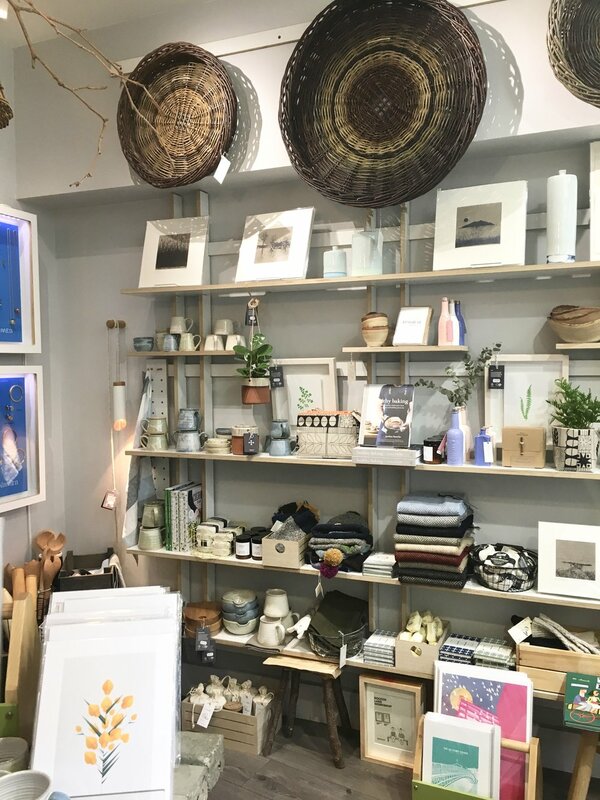 For people wanting an authentic gift, the Irish Gift Shop stocks gifts and interior products all made in Ireland. With rich literary heritage, Home to Keates and Oscar Wilde, the best bookshop is The Winding Stair which has a cafe built above it and easy to find books of vintage, Irish or feminist based. The number one thing to do it the Kilmainham Gaol. 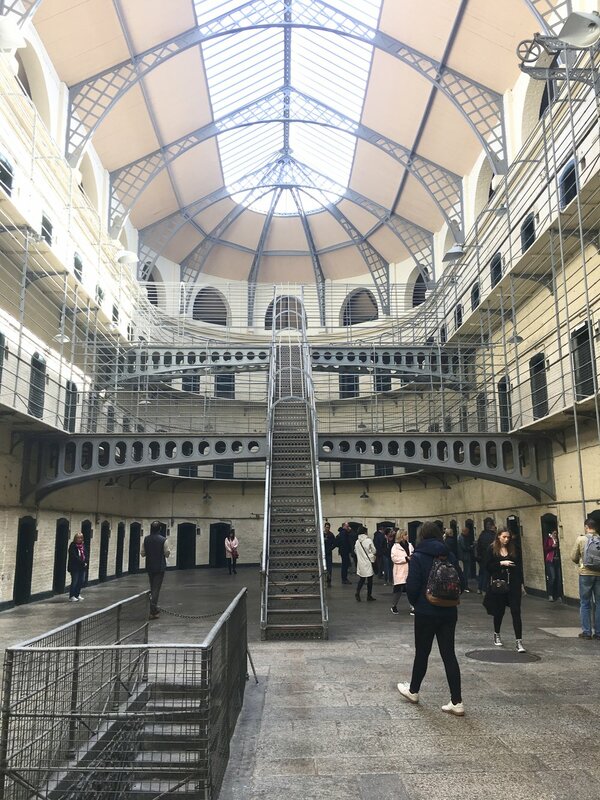 Whilst booking tickets beforehand is advised due to its popularity, the fascinating history of the building regarding the prisoners following a number of uprisings for Ireland’s independence, as well as the panopticon building that it is known for, following the prisons need to rehabilitate prisoners following anarchy in its predecessors. The tour guides make it interesting with titbits of information, a fascinating one being the story of Countess Georgine Markievicz who was imprisoned yet upon escaping hanging, become the first woman in the world to hold a cabinet position in government. 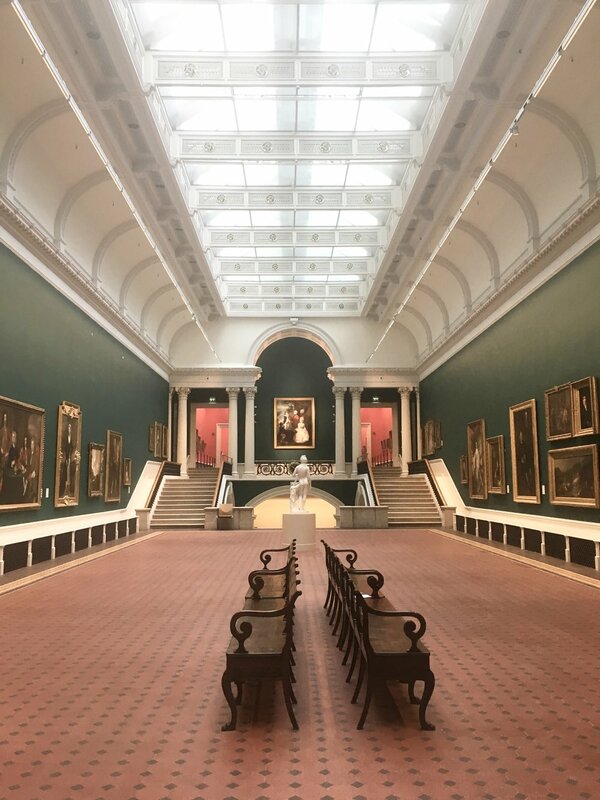 There are many museums and galleries but the National Gallery of Ireland is free and has portraits of old biblical scenes up to recent works of famous Irish faces. Trinity College rivals some of the most beautiful universities in the world with red brick and ancient buildings, whilst Samuel Beckett Bridge is a modern Marvel as a bridge designed like a harp. In the summer, the parks of St Stephens Green and Merrion Square are well worth a wander. Three boutique hotels are a favourite of many; The Alex, The Dean or Number 31 being just a few. Airbnb’s aren’t as amazing yet with many being pricey or not much better than a hostel. Generator Hostel, for under £20 is a safe bet with a large communal area and bar to grab a late night dinner and drink if needed without feeling over hostelly.